On Wed., Sept. 12, precious metals futures advanced as a group for the first time since Aug. 27. Increases ranged from 0.3% for palladium to 1.3% for platinum. 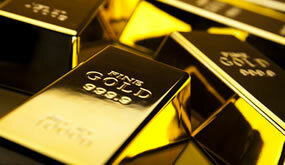 Gold ended at a two-week high while silver rebounded from a more than two-and-a-half year low. "The yellow metal was under modest pressure overnight but prices started to move north as the U.S. dollar index moved south. There are also reports today the U.S. made an overture to China to restart trade talks," Jim Wyckoff, a senior analyst at Kitco Metals Inc., said in a report. "Ideas the world’s two largest economies may be moving closer to a trade agreement can be extrapolated to mean an eventual trade agreement would produce more U.S.-China commerce and in turn see better demand for precious metals coming from China." Gold futures ranged from a low of $1,197.60 to a high of $1,213.60. They moved up 0.2% on Tuesday and dipped less than 0.1% on Monday. Silver for December delivery advanced 14 cents, or 1%, to settle at $14.293 an ounce. Silver futures traded between $14.10 and $14.32. They lost 0.2% on Tuesday — ending at their lowest price since since Jan. 22, 2016, and they dipped less than 0.1% on Monday. October platinum gained $10.60 to $799.90 an ounce, ranging from $783.30 to $802. Palladium for December delivery added $3.20 to $965 an ounce, trading between $957.20 and $969.50. Gold rose $5.75, or 0.5%, to 1,195.60 an ounce. Silver added 3 cents, or 0.2%, to $14.155 an ounce.